There are some unhealthy foods that can be good to lower level of cholesterol in blood, or to improve the toughness of the skin, or help to reduce hair fall. But some others are don’t impact so positive effects, also heavy drinking can lead to reduce proper brain function, specifically memory and intelligence. These are some of the most common unhealthy foods that are harmful not only for your figure but also for brain. Here’s a list of those unhealthy foods. One of the unhealthy foods is sugar. It enlarges not only the size of your waist, but also influences brain tasks. Consuming much sugar can reduce long-term memory and create lots of neurological troubles. Moreover, this sweetener can also hamper with the ability to learn that is why it is recommended to avoid eating excess sugar use to sweeten tea, eat candy, sweets and lollipops, or sweet drinks or soda. It is known that long-term consumption of alcohols can damage the liver functions. But it can also cause an issue what is known as “brain fog” that leads a feeling of mental confusion and affects the ability to think clearly. A typical example is, trying to remember what happened the previous night after an awful quantity of drink. Many remains confused about dreaming, they had, or do not remember where they were or what they conversed about. This outcome could be influenced by much consumption of alcohol, have an effect on the stability as well as equilibrium of the brain. Fortunately, you can be normal if stop intake of alcohol, or bound yourself to one or twice drinks per week. Unhealthy foods like french fries, hamburgers, or pizza, as compared to other foods, can change some chemical processes in the brain that leads to the indications correlated with depression and anxiety, which really bad for human beings. This was exposed by a fresh study from the University of Montreal in Canada. People, who like unhealthy foods as junk foods, get affected by the production of dopamine, get never satisfied and always want more. Moreover, this substance also affects cognitive function, wisdom, learning skill, awareness, alertness, motivation as well as remembrance. Unhealthy foods like fried foods, such as potato chips, salted sticks, roasted chicken or snacks are often quite harmful. They slowly destroy nerve cells found in the brain. Some of the cooking oils are very hazardous to consume. Nearly, all processed foods are composed of chemicals such as dyes, additives, artificial flavors, and preservatives that can influence performance, also cognitive functions, causing hyperactivity both in children and adults. Consumption of sausages, cold cuts and other meats should be avoided. Salty foods affect blood pressure as well as heart functions. Additionally, those foods that are high in sodium can damage cognitive function and the ability to think. More consumption of salt directly affects the blood pressure. Also, consumption of water increases. Higher blood pressure is always dangerous, causes lots of issues like kidney diseases, heart attacks or strokes. Consume all kinds of grains, except those containing 100% whole grain, have an impact on brain function and overall health. The reason is that if you consume grains regularly, your body runs the risk of faster age and experience memory loss as well as mental confusion. 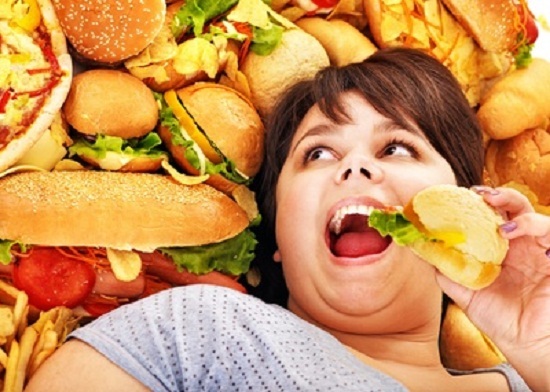 Fats harm your brain because it does slow the blood circulation; affect the body’s reactions and reflexes. If fats continues to consume for too long period can lead to a kind of brain shrinkage that is somewhat similar to the contraction caused by Alzheimer’s disease. This brain shrinkage is caused when those fats start slowly damage the arteries. Lot of people thinks they can lose weight overnight by just replacing sugar with artificial sweeteners, although this is wrong. The good thing is that they contain fewer calories, but can actually do more severe damages, as if use for an extended period of time, can be a reason of brain’s functions damage and hamper in cognitive ability, especially if consume in large quantities. Increase Iron absorption: How to Improve Blood? « Causes and Natural Remedies for Dandruff » What’s hottest apparel ideas for American brides this year?